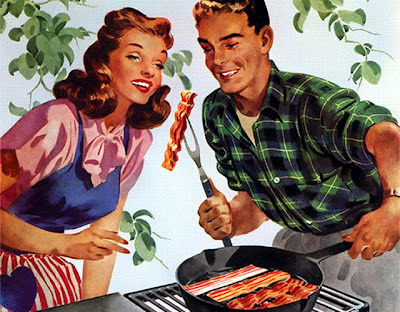 We're having Thursday BBQs every other Thursday this summer. The dates are: 1/7, 15/7, 29/7, 12/8, 26/8… and every other Thursday until it's too cold. That means we'll be starting the grill at 6pm tomorrow. 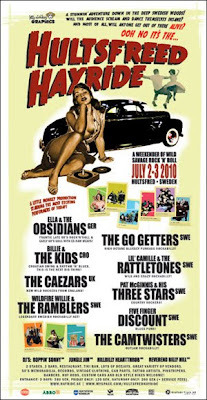 The HepCat Store is open and there will be good music playing. 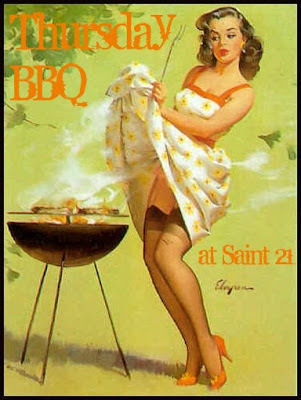 We keep the grill hot from 6 pm, just bring your own food and hang out with us. We're getting ready for Hultsfred Hayride. Will we see you there? 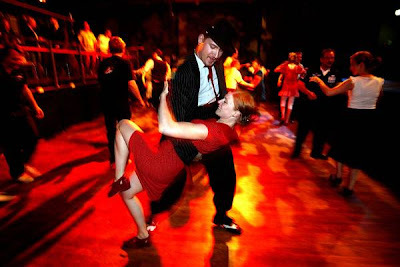 Helsingborgs Dagblad dropped by our Monday night swing and the result is an article in today's paper. 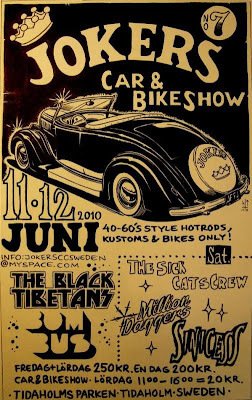 Rob, Dan and J.Tex will be at Jokers Car Show in Tidaholm this weekend. They're packing the car as we speak. Come by and say hi, check out all our cool stuff and have a great time. 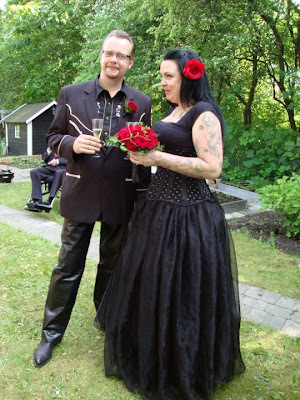 Kiko and Benita got married! Kiko from C.A.P.S. and his lovely Benita got married this Saturday. 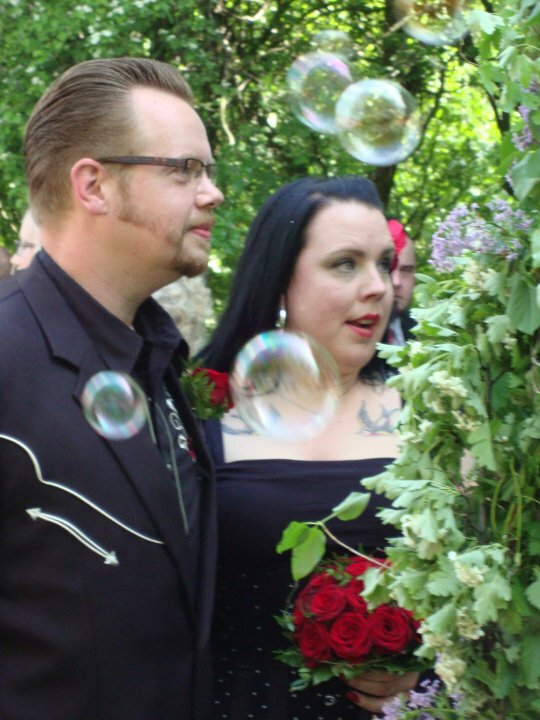 We wish them a lifetime of happiness, love and rock'n'roll. The first un-official official Thursday BBQ at Saint 21 is today! We'll fire up the grill at 5 or 6 pm. We provide hot coal, a place to sit and our parking lot. Bring your own hot rods and hot dogs!